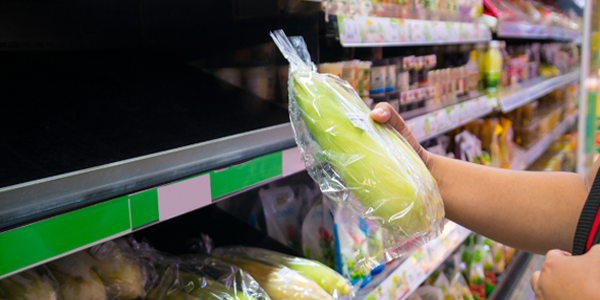 Research has revealed that US and UK consumers remain very concerned about plastic packaging, with many in favour of a tax on all plastic food packaging. A survey of 1000 consumers, commissioned by Ingredient Communications and conducted by Surveygoo, found that a plastic tax received more support from UK consumers (52%) than US consumers (33%). Ingredients Communities explained that there is already a crackdown on plastic packaging in the UK. Companies creating packaging waste are obliged to buy a ‘packaging recovery note’ (PRN), which effectively constitutes a tax, and the UK government is considering increasing the cost of PRNs for those using unrecyclable plastic. UK support for a plastic tax may be due to increasing consumer awareness of the issue of plastic waste. There has been a charge for single-use plastic bags since 2015 which has reduced their use by over 80%, and BBC documentary Blue Planet highlighted the negative impact of plastic packaging on marine life. “Our research definitely reflects the ‘Blue Planet effect’ in the UK. Viewers were left in no doubt about the harmful and often heart-breaking impact of plastic waste, and many were inspired to make a change. In the US, while there is still significant support for a plastic tax, the figures are much lower. This probably reflects greater public opposition to taxation generally, as well as greater scepticism about government measures to protect the environment,” said Neil Cary, Managing Director of Surveygoo. Support for action against plastic waste varies among states in the US. While California is the only state to ban plastic bags, Michigan prohibits local governments from banning, regulating or imposing fees on the use of plastic bags or other plastic containers. The survey also revealed that packaging influenced where consumers chose to shop. 41% of UK consumers and 38% of US consumers said they would be more likely to buy produce from supermarkets that sold fruit and vegetables without plastic packaging.